This giveaway is now CLOSED. Thanks so much to our wonderful sponsor The Littlest Angel on DVD! The Winner is: 'Terri S.' (We post winner site usernames for privacy reasons). Remember: There are great giveaways active on the upper right hand side of the page! We started our Kids Corner in our Annual Holidays Buying Guide with a review of Cars 2, and now we have a review (with giveaway this time! YAY!) 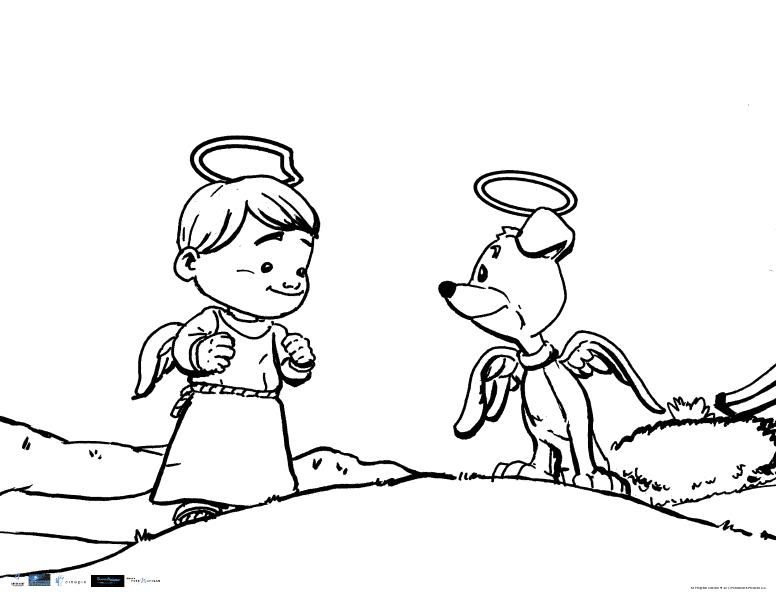 for The Littlest Angel! This classic childrens story has been reimagined and is now available for purchase. This rated G release has been been approved for all ages by The Dove Foundation. The Littlest Angel (who reminds me a great deal of my nephew, inquisitive, smart, and sometimes mischievious), is the story of a young boy who arrives in heaven way before his time, he finds himself lonely and very home-sick and goes on an adventure back to earth with his trusty pup Halo both to earn his wings and to retrieve a gift for the baby Jesus, as well as learn valuable lessons along the way. Discovering that the greatest gifts in life are faith, friendship and doing the right thing! With great animation and strong vocal talent including Ron Perlman (who also voiced characters in Beauty and the Beast as well as Tangled) The Littlest Angel is sure to become a favorite holiday tradition much like the book it is based on. Wanna keep the little ones entertained while waiting for Turkey Day Dinner? 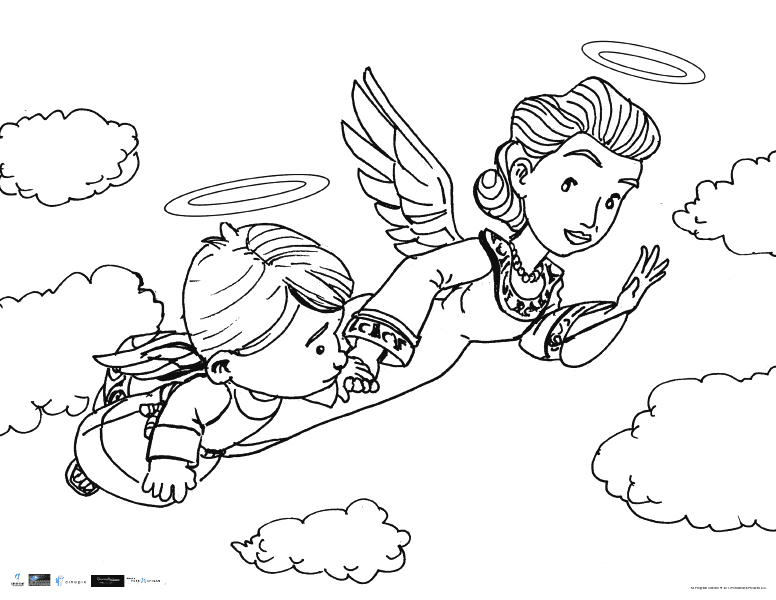 How about coloring pages? Press on each picture individually, then print as many copies as you need, do this for each picture separately if you want all of them! I haven't colored in ages, I might have to print out a set for myself! Have the kiddos color them and then put them on the fridge! This is definitely a fun & safe for all ages film, that is heart-warming and charming. With a more classic animation style that relies less on the special effects and more on telling a great story. 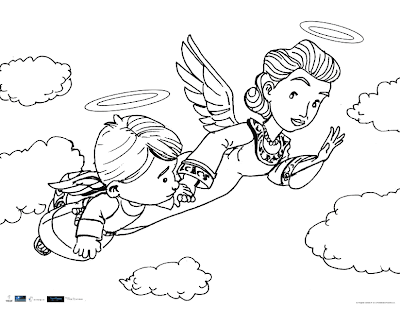 As an Aunt and Godmother what I love is that this allows you to give a gift of faith in a way that makes it fun for the child. As a God-Mother I really like to find gifts that are Faith based for my God-Children and it's a challenge to find items sometimes, I want to enhance their faith in a way that is age appropriate and still very fun and this movie is definitely a perfect stocking stuffer! Ƹ̵̡Ӝ̵̨̄Ʒ - WIN IT! - Ascending Butterfly and our friends at Anchor Bay Entertainment would like to give 1 lucky winner The Littlest Angel on DVD! 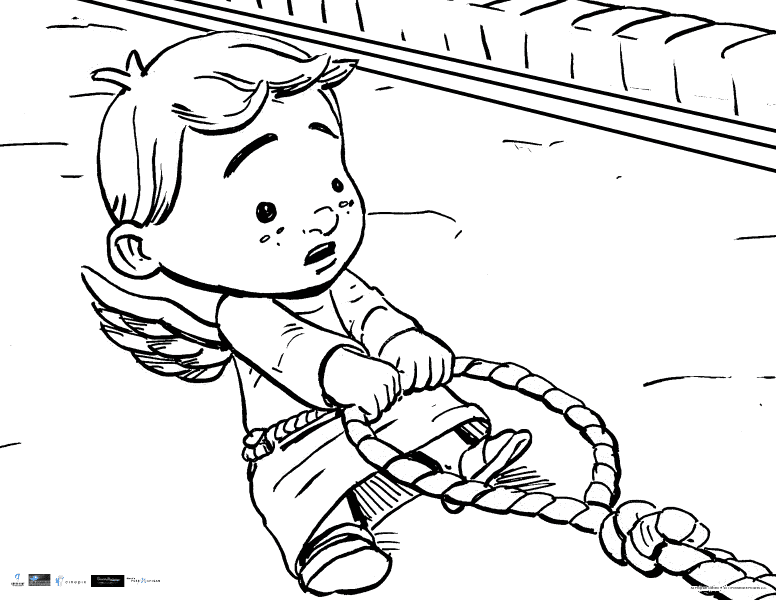 Don't you just ♥ The Littlest Angel? I know I do! Ƹ̵̡Ӝ̵̨̄Ʒ - Like Anchor Bay Entertainment (a STARZ company) on Facebook HERE (Tell them which item you are trying to win on Ascending Butterfly or copy and paste 'I am trying to win The Littlest Angel DVD Giveaway on Ascending Butterfly') - Be sure you leave the link to your comment here for extra credit. (You can get the link the same way you do on twitter, press on the time you left the comment on their facebook wall, and when the page fully loads, highlight and copy the URL address and then paste it into the comment field here). If you say "I wrote on their wall" and do not leave the link that Extra Credit Entry will NOT be processed. 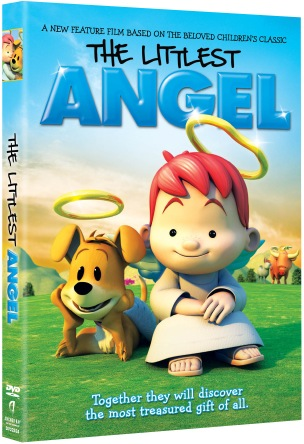 FTC Disclosure Info for this Giveaway: The Littlest Angel DVD was provided for review free of charge. No monetary compensation has been received. The sponsors are fulfilling directly to prize winner(s), this in no way influenced my opinion of the products. All opinions expressed in this review are 100% my own. Once a winner is selected and their information has been forwarded to the sponsor, the responsibility of prize fulfillment rests with the sponsor. GFC follower (Belinda) and I loved buying my boys their first Bible! A gift a faith that I like to give are books that are age appropriate to the child. My daugter has a wonderful board book about faith and shelves it!! I would say my favorite winged thing is a butterfly! I'm a GFC follower. My favorite gift of faith I always bought for my young children was some kind of story book with Biblical lessons - like Berenstain Bears faith books. I follow with GFC. My favorite gift of faith for my kids was a Berensteins Bear Bible. My favorite winged thing is a dragonfly. I entered the The In Bloom giveaway. I like to buy books of faith for my little granddaughter. Last Christmas I recorded Hallmark's "The Very First Christmas" for her to hear the true meaning of Christmas. I entered giveaway for In Bloom by Jonquil beautiful Butterflies Pajama Maxi Gown. I love the mother/son bible stories book to share with my boys! Favorite winged thing...I love owls! My favorite gift if for a Christening and giving two books - The Beginner's Bible and The Tale of Three Trees. Both such wonderful gifts! My favorite thing with wings would have to be a butterfly! My daughter is in love with reading stories that talk about how a butterfly is made - her favorite one right now is Percivil The Plain Little Caterpillar. The innocence she has to such an amazing transformation is just so neat to watch! My daughter got the Little People Nativity set very early on. 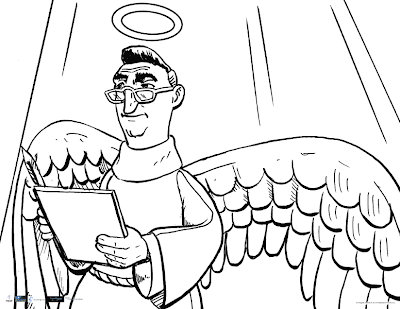 My favorite winged thing is an angel. I follow via Google Friend Connect as Mom Caboodle. I loved buying my children their first precious moments bibles. 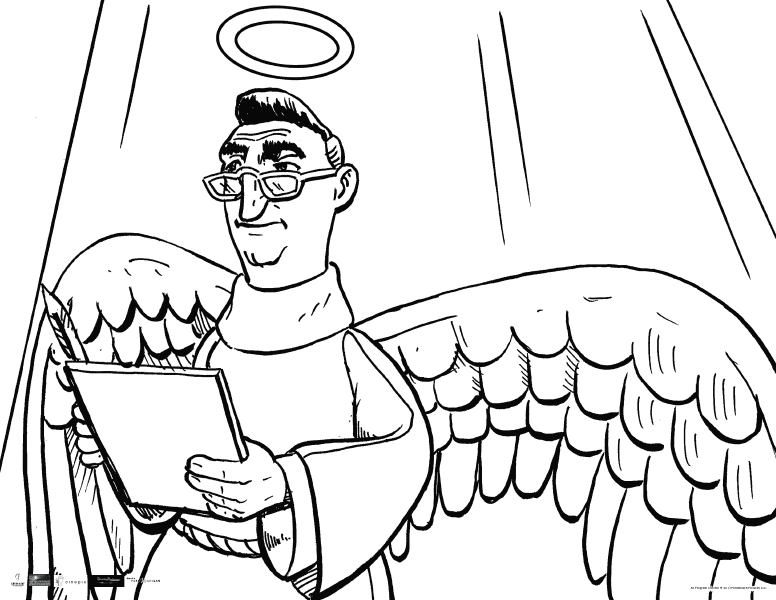 My favorite winged thing is Angels. I have a Angel room in my house. my fav gift of faith for my child is a Bible!!!! I follow with GFC. My favorite gift of faith is the bible, so that little ones can be rooted in the word of God. I love giving an angel ornament to little ones. It's such a special gift and they can remember it always at Christmas.